DEKOR® is proud to deliver the brightest USA-made solar LED on the market. Shop now to bring your home into the modern age with our unmatched solar technology. Add sparkle and polish to your home’s exterior and interior spaces with our newest, smallest, and brightest recessed soffit light to date. Create lighting patterns on your deck posts, add shine to stair treads, and create dimension on balusters with the new Post Medallion LED Accent Light. 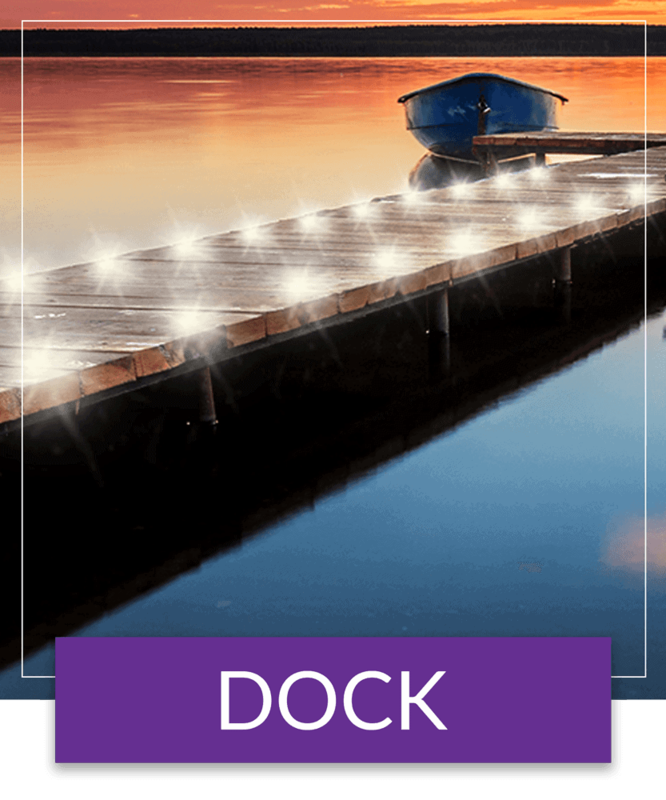 Discover DEKOR®’s pioneer LED deck lighting collection, including our best-selling recessed Deck Dots, stair lights, post caps, smart light controllers, and more. 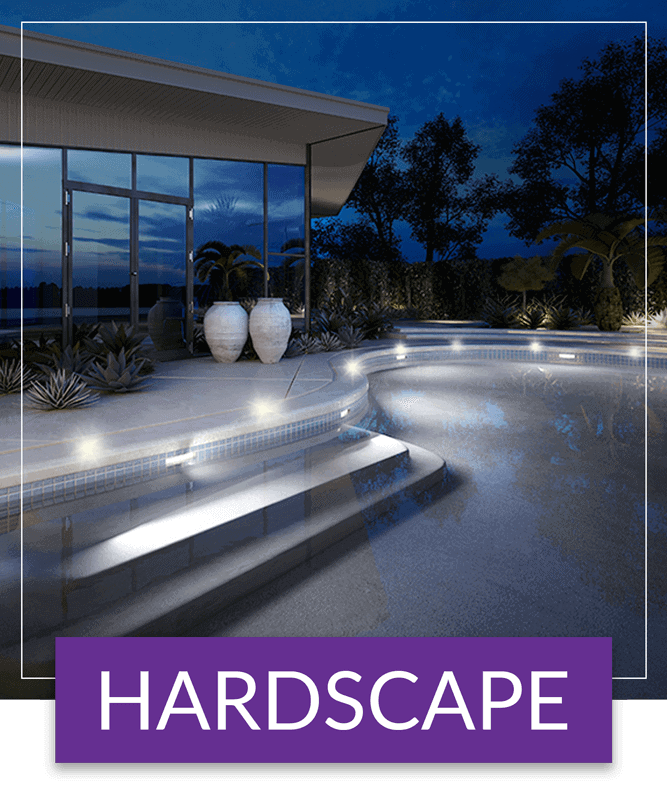 DEKOR®’s integrated landscape lighting features tool-free LED garden lights and pathway lights that install in minutes and shine for years. DEKOR® hardscape lighting is designed to be embedded into concrete, pavers, and stone siding, allowing you to turn dark shadows into shining displays. The versatility of DEKOR® LED lighting extends into the kitchen, bathroom, and living spaces, with under cabinet lights, motion sensors, and beyond. 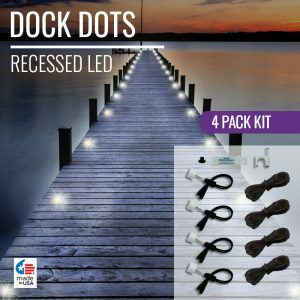 Light the way to safety and add ambiance to your dock with our newly-launched collection of waterproof and compact LED Dock Dots. DEKOR® lighting and railing products are energy-efficient, long-lasting, and durable, with some of the longest warranties in the industry. We build quality into our products so that you can set them and forget them, allowing you to enjoy more and maintain less. CREE LEDs are known for their superior performance, super bright light, and long life. 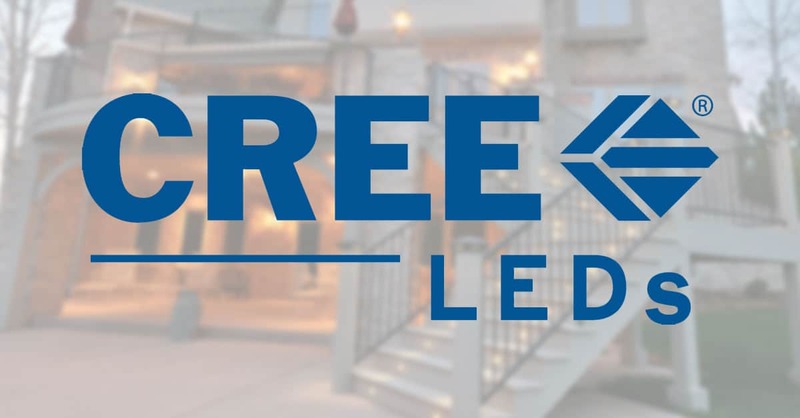 As a CREE LEDs branding partner, DEKOR®’s product quality was independently tested and confirmed by CREE’s rigorous TEMPO testing. 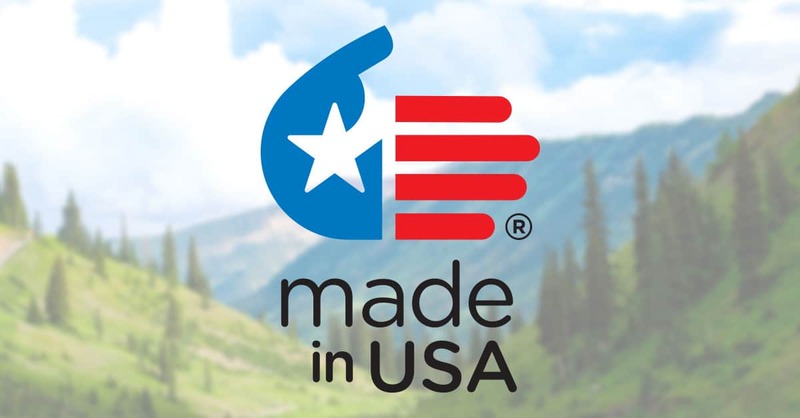 Some of the world’s best products are made in America, and DEKOR® products are part of that tradition. We believe in American Craftsmanship. Most of our products are built right here at our manufacturing facility in Denver, Colorado. Welcome to DEKOR®, a leading manufacturer, designer and innovator of LED lighting products. 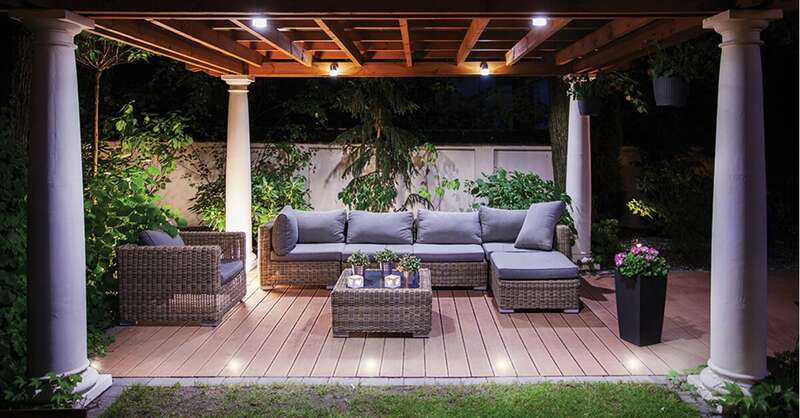 Here at DEKOR®, we create trendsetting LED deck lighting, landscape lighting, under-cabinet lighting, and beyond. We design and build the best products possible in order to deliver the best quality out there. We design, manufacture, and test our world-class quality LED lighting right here in the USA, so we can manage every aspect of our lights, from conception to manufacturing. 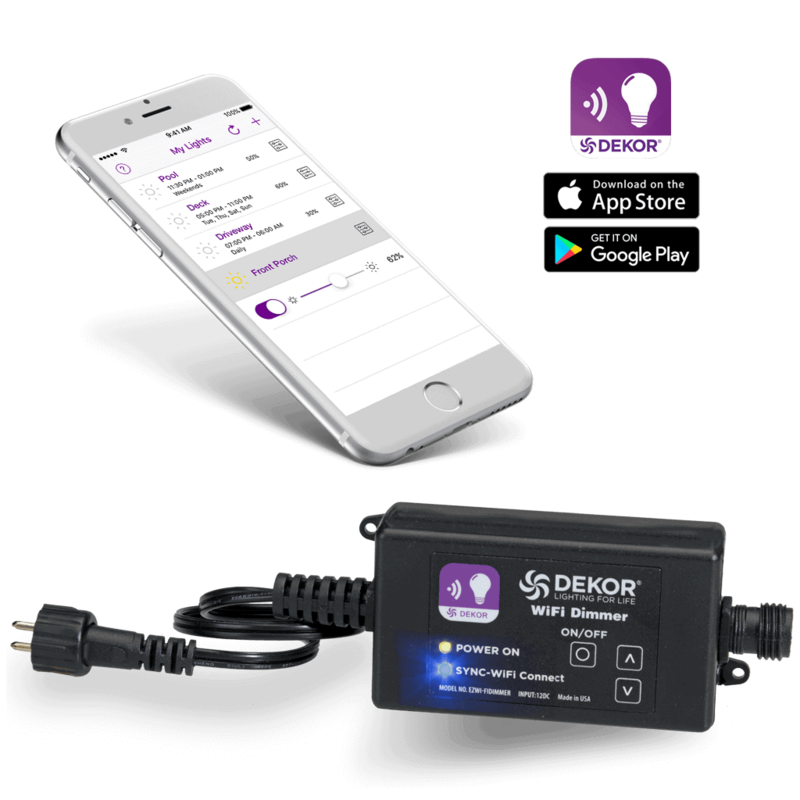 Support – Our care team works right alongside our builders at our factory in Denver, CO.
Control your DEKOR® LED lighting from your Apple® iOS or Android™ device with our new WiFi Controller and WiFi Remote App. The DEKOR WiFi Remote App brings home automation and smart control to DEKOR lighting projects: On/Off, Brightness, and Scheduling. Control your deck or landscape lights from the comfort of your couch. Schedule your lights to turn on and off overnight. Or do it all while looking out your bedroom window. The DEKOR WiFi Remote app requires at least one DEKOR WiFi Controller to control the lights attached. The WiFi Controller must be connected to your wireless network for the DEKOR WiFi Remote app to see and control your lights. DEKOR® has been creating innovative LED lights since 2001, beginning with patenting the first lighted deck baluster. 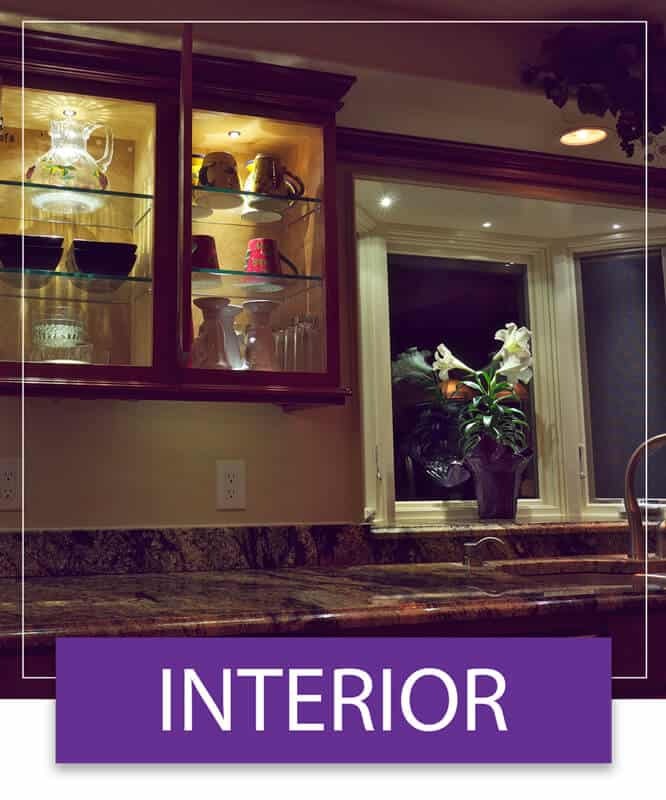 We then created trendsetting recessed lights with superior light quality, covered by our industry-leading 10-year warranty. Our recessed lights have been copied again and again, but other companies have been unable to replicate our quality and longevity. 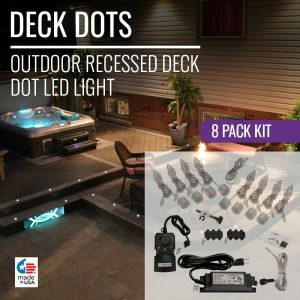 We’ve since re-engineered our recessed down light to become our bestselling Deck Dots™ deck lighting, which installs completely flush in deck surfaces and was designed to be walked upon. Our lighted post caps are another way to add ambiance and attractive lighting to your deck. Our post caps are durable, waterproof, weatherproof, and help protect your deck posts from the elements. They also come with a hard-to-match 10-year warranty on the lights, and a 30-year warranty on the finish. Our original landscape lighting combines easy-to-use features with robust quality. It began with versatile LED landscape lights like the Radiance Landscape Light, which provides dimmable high light output and multiple positions for efficiency and versatility of use. Then came the Ginny Landscape Light, a sleek and modern light with an articulated joint for a custom angle, and the simple but original Puck LED Landscape Light, a drop-and-go uplight for any surface. 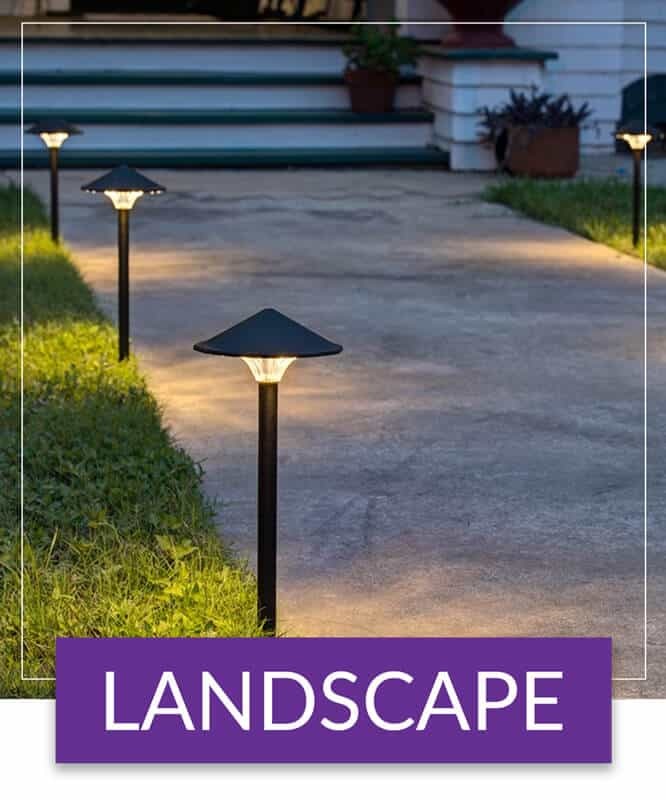 The Empress LED Landscape Light is a traditionally shaped landscape light that also offers outstanding maintenance-saving features unavailable on other lights. The High Output LED Landscape Spot Light, meanwhile, packs a lot of punch in a surprisingly small package, coming in as one of the smallest landscape spotlights on the market. 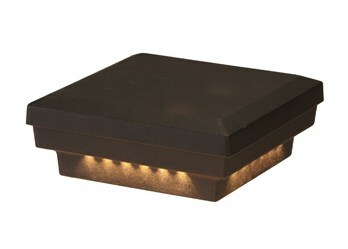 DEKOR then expanded into the hardscape aspect of landscape lighting, introducing a line of retaining wall lights. As our DEK DOTs found applications in the hardscape lighting world, we took the lessons learned and applied them to create PAVERDOTs, which were specifically designed for embedding in poured concrete, pavers, and stone. When you buy DEKOR products, you’re not just getting the best quality and value for your money, but world-class quality. We’re consistently raising our quality standards, and investing in high-precision manufacturing equipment, staff training, and state-of-the-art testing equipment all in the pursuit of building the best LED lighting possible. We are committed to high performance LED lighting products and accessories that will live up to their warranties and exceed your expectations. Throughout the years, we have continued to innovate, allowing us to build quality, low-maintenance LED lighting products you can count on. DEKOR delivers Lighting for Life, so you can enjoy more and maintain less. Thank you for visiting DEKOR®. DEKOR™ is a made-to-order company. Because each order is unique and our products meet higher quality and craftsmanship standards than mass-produced products, please give us a call to determine shipping times before placing your order. Light kits & transformers normally ship next day. Other products ship in 8 – 10 working days. 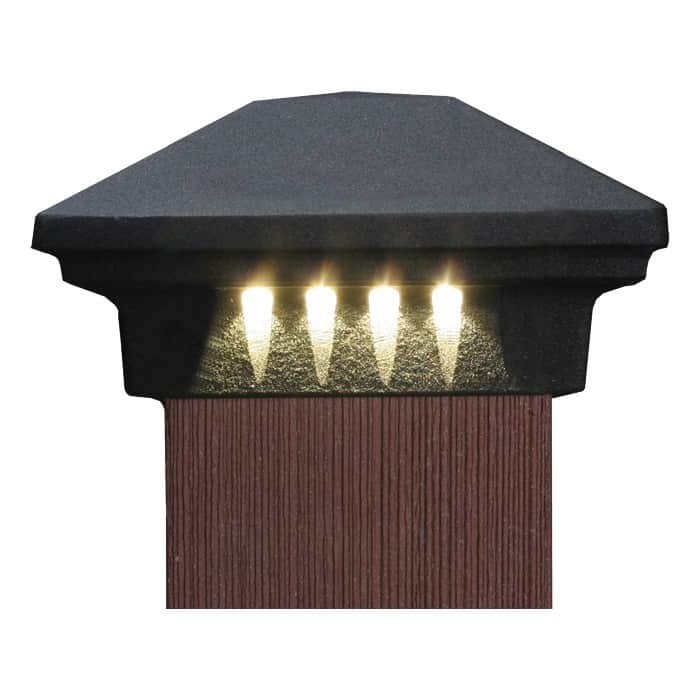 Our Outdoor LED Paver Dot™ Lights are specifically designed to be embedded in concrete, stone, and of course pavers. 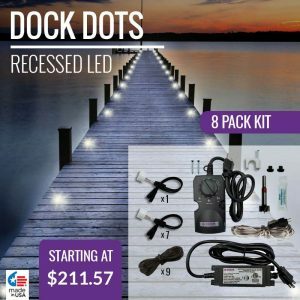 Illuminate your patio, pool deck, walkways or driveway with warm, white dots of light. Add subtlety with a dimmer. Our second-generation dots are low maintenance, easier to install, and better adapted for concrete. 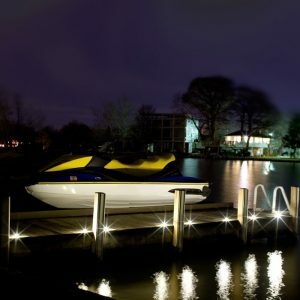 The lights feature Plug-N-Play™ connectors, simple light replacement in case of failure, and the latest generation of CREE LEDs. Paver Dot™ Lights are long-lasting and durable, able to withstand foot traffic (patios) and light vehicular traffic (driveways), and backed by our industry-leading 10-year warranty. Paver Dots™ are available in an 8 light Paver Dot™ Kit, complete with a transformer, or Paver Dot™ 4 Pack for flat hardscape installation in your choice of connecting cable lengths. Paver Dots™ with a 30 degree light angle are also available in 4 packs for concrete or paver steps and stairs. 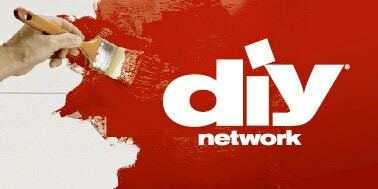 Our Deck Dots™ recessed deck lights were featured on the hit television show Treehouse Masters Season 3. The episode was Treehive Beehive – named for a beehive-shaped treehouse built for a Redmond, Washington couple. In the video, Pete Nelson, the “treehouse guy” and man behind the show, takes us on a tour of the Beehive inspired Treehouse. Deck Dots™ were used as step lights to light the way up to the “Treehive Beehive”. Visit our Deck Dots™ page for more info and photos from the project. The Treehouse Masters build treehouses – private escapes that “bring people closer to nature”; they lift spirits and inspire dreams. 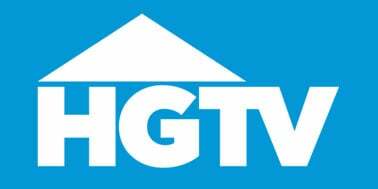 Treehouse Masters airs on Animal Planet and the Discovery Channel. DEKOR expands its line of industry-leading Post Cap Lights with new Flat Post Caps. This new design compliments almost all railing profiles, and will give your deck a low profile while creating a stunning shine. Our flat top post caps are backed by the same incredible 10 year / 30 year warranty. They are premium quality, made of powder coated aircraft grade aluminum, and available in 8 complimentary colors with multiple light configurations. As before, our Flat Profile Post Cap is available without light, or with 1 to 4 sides lighted. There is also a “pinnacle” top light option, new to this post cap design. DEKOR® strives to make life easier for our customers. You can now order the EZ Enclosure Kit, a ready-to-go version of our popular EZ Enclosure with an additional mounting plate and hinge. And best of all, all of your electrical components (transformers, dimmers, photocell purchased separately on the same order) can be already mounted, connected, and tested in the enclosure. 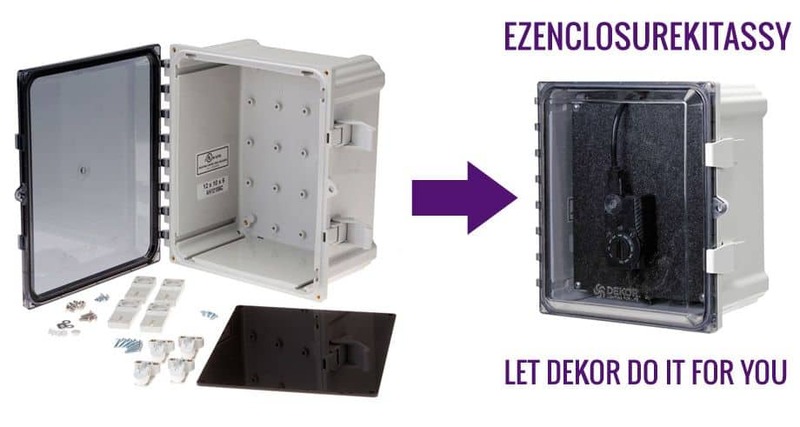 So when you receive your EZ Enclosure Kit, your installation will become unbelievably easy. Just screw the enclosure in place within 5’ from the outlet you intend to use, plug into the Plug-N-Play™ connector and you’re upand running. 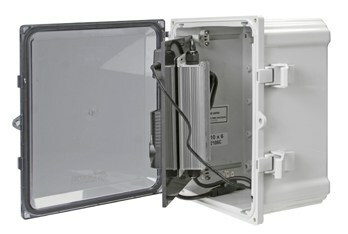 Learn more about our new EZ Enclosure with mounting panel and EZ Enclosure Kit with Component Assembly Service. Our new NexGen™ LEDs are 3X brighter than our standard LEDs. Make the most of your deck – illuminate a party or just add ambiance, comfort, & style. Showcase your garden, accent your landscape, and add safety to your home. Give your kitchen a welcoming glow, light dark corners, and eliminate shadows.